Collect data from your customers to tailor the experience to each individual. 1 - Determine what data you want to collect from customers before they can install your digital stamp card. This will appear on the enrollment form and all the information you collect will be stored in your ‘Customers’ page. Select the format (e.g. 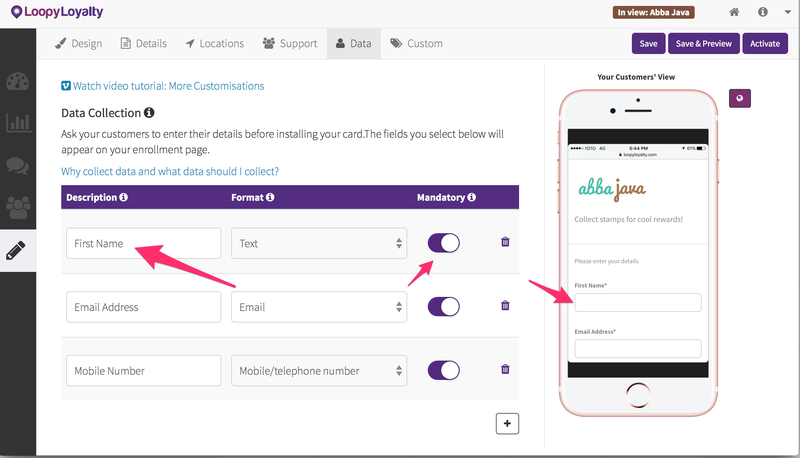 text, email, telephone number, date) and decide whether this is a mandatory or optional field for customers.